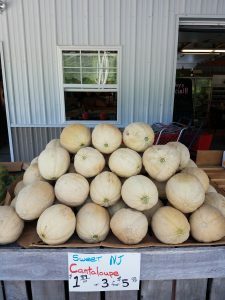 New Jersey Cantaloupes aka Candy Loupes are here at our Salem County farm market in Pennsville, NJ 08070. Look for one that is quite round, and has a big of weight to it. The color you are looking for is an off-white cream. The less green the better. The smell will be classically sweet and a little musky. Make sure you eat it within 3 days of cutting it open! Enjoy! 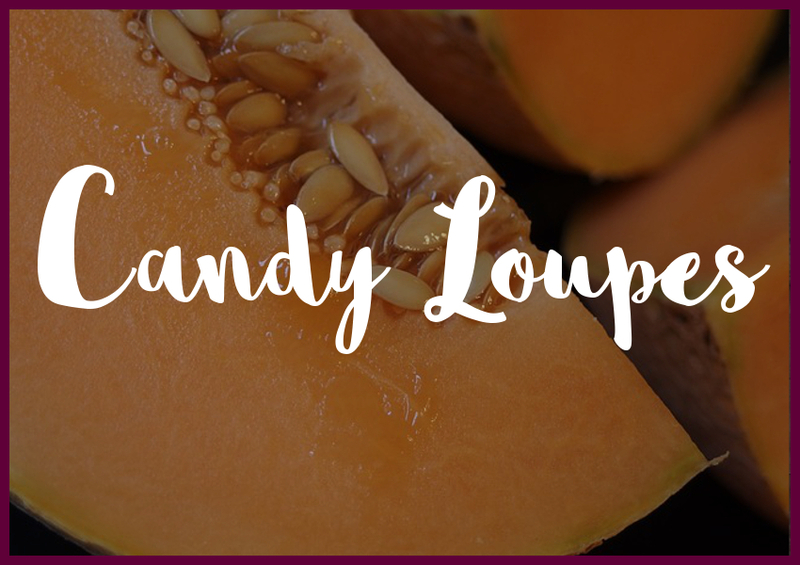 Candy Loupes are on market and picked daily! 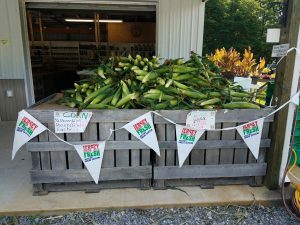 New Jersey Corn, New Jersey Tomatoes, New Jersey Blueberries, New Jersey Yellow Peaches, New Jersey Squash, New Jersey Green Beans, New Jersey Cucumbers, New Jersey Pickles, and New Jersey Green Peppers are still hot on the market. Come in and expect the freshest you can buy in Salem County. Long Hot Peppers are coming this week. New Jersey Eggplant is coming this week, too! 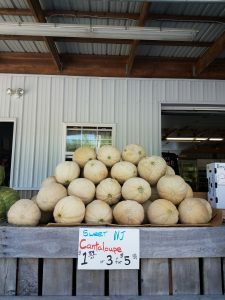 Waiting for New Jersey Watermelon? Only two weeks left! Til’ then we have a Georgia variety that is sweet and our customers have been super happy with. New Jersey pea season is completed. Here are some new photos of whats on the market. Thanks Colt!